I'm starting off the 2013 holiday season by sharing our mantel. I sure hope nutcrackers are friendly. We have a whole army of them and I'm pretty sure they might murder us in our sleep some night. These are the things that run through my head. Totally rational thoughts. I whipped up some elf stockings. I really liked the burlap stockings that I made last year. Turns out that burlap makes Nate and I feel all icky. I couldn't risk death by burlap AND nutcrackers. Safety first. I'm kind of obsessed with the elf stocking look. They are quirky. I might put together a tutorial for these if I get my act together. So probably not. I also made some wood bead garland. It was super easy. Ike helped me make it. Seriously. I might do a post on that too. We bought real garland this year. We have artificial trees so this gives us that glorious tree smell. Mmmm, tree. It also makes a giant mess. Check out our mantels circa 2011 and 2012. Linking up to Our Fifth House and Ten June! Be sure to share your Dare to DIY entertaining project with us today! 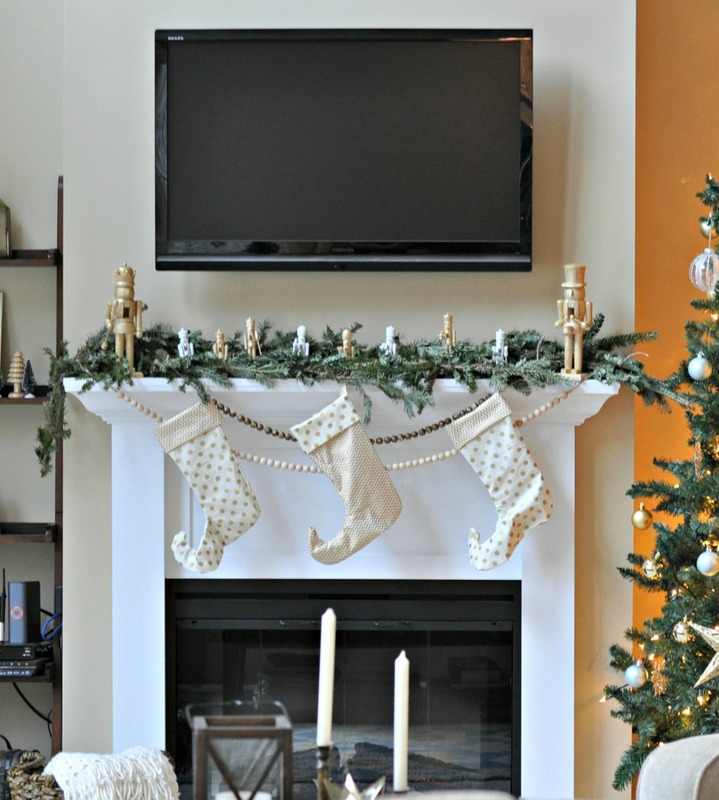 What's your mantel looking like this year? Anyone else terrified of being murdered by holiday decorations?